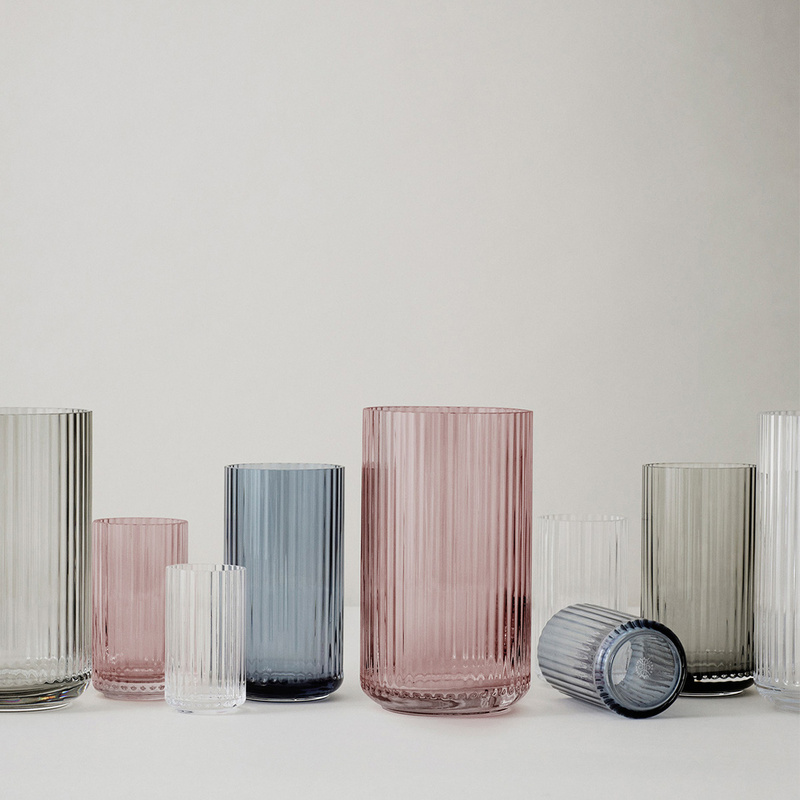 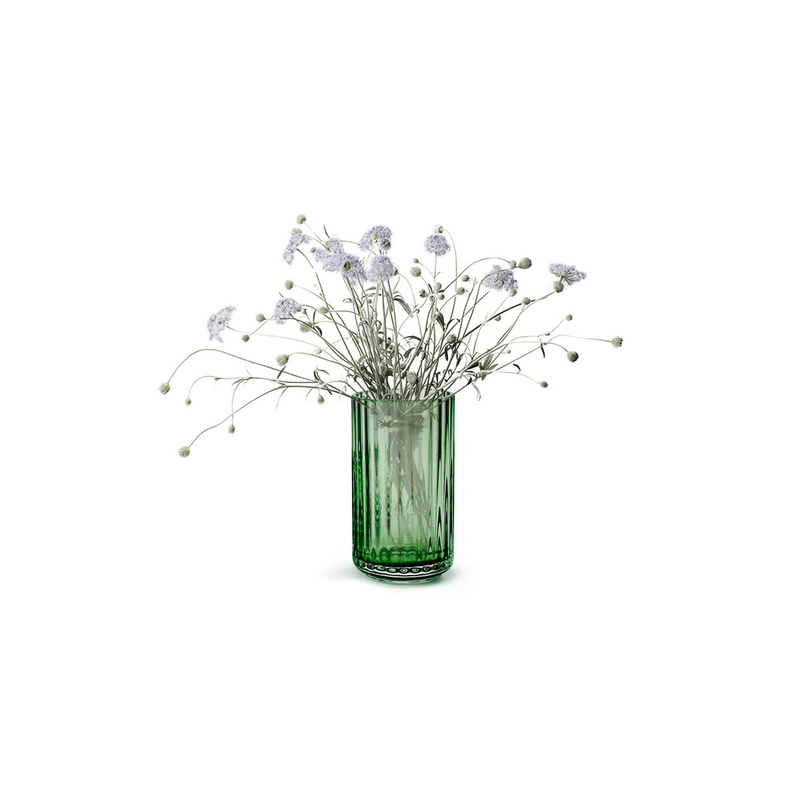 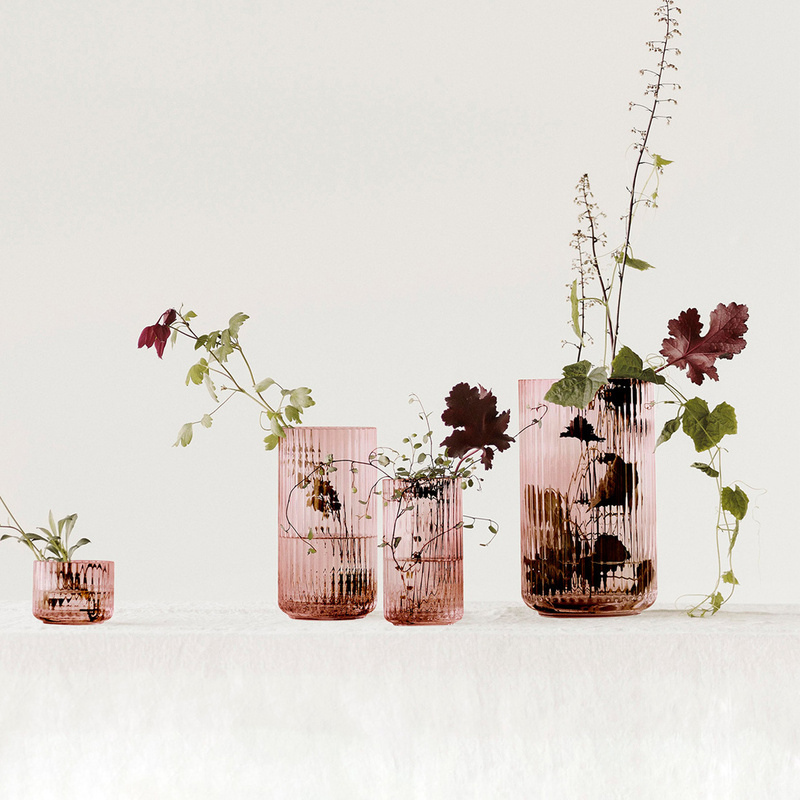 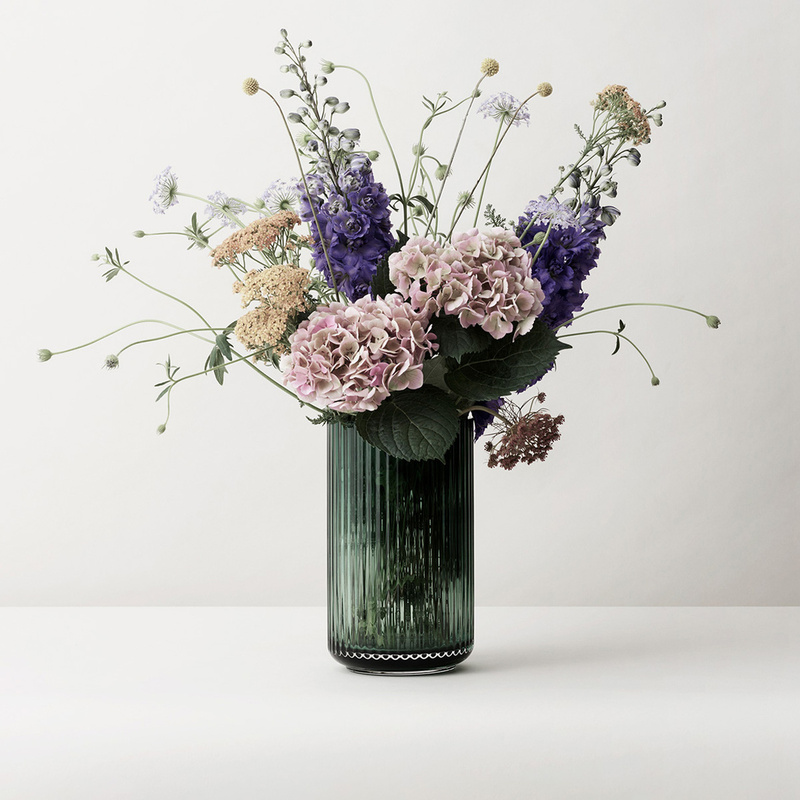 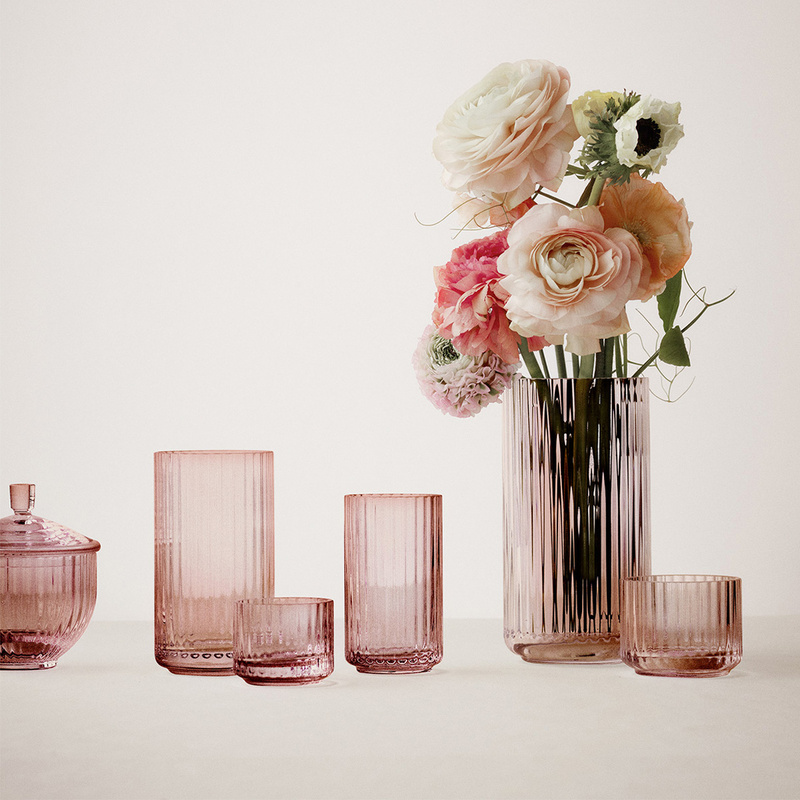 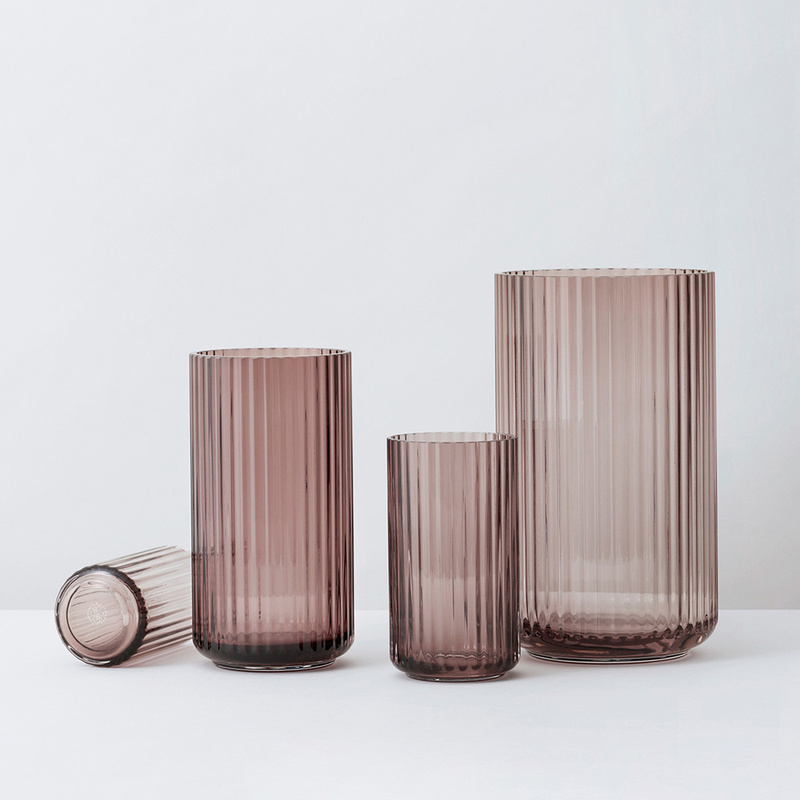 Part of a large collection of glass vases of different sizes and colours, the Lyngby glass vase measures 12 cm in height and it can be used in a large number of contexts. 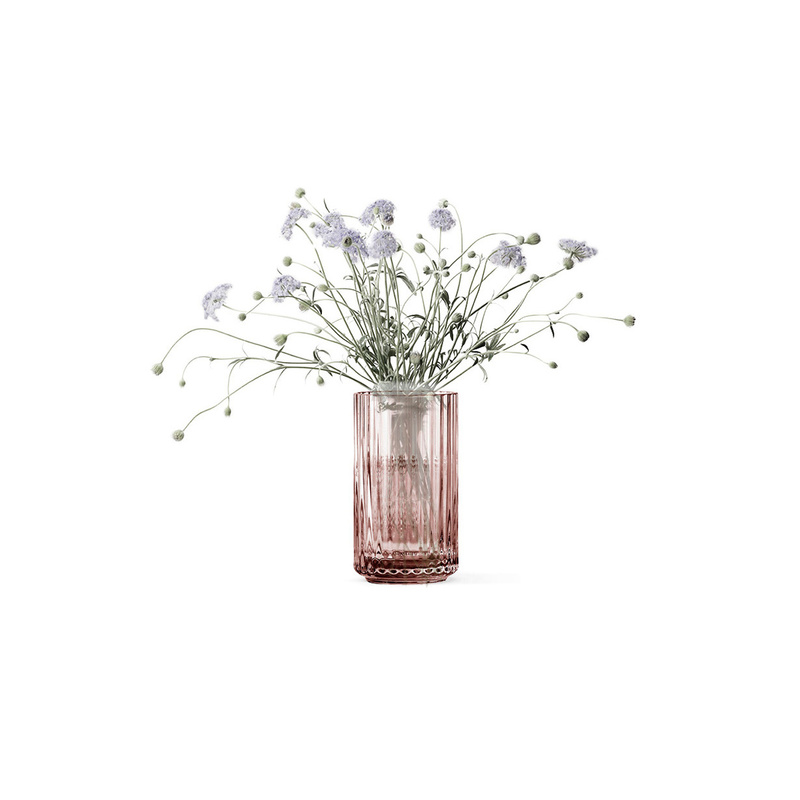 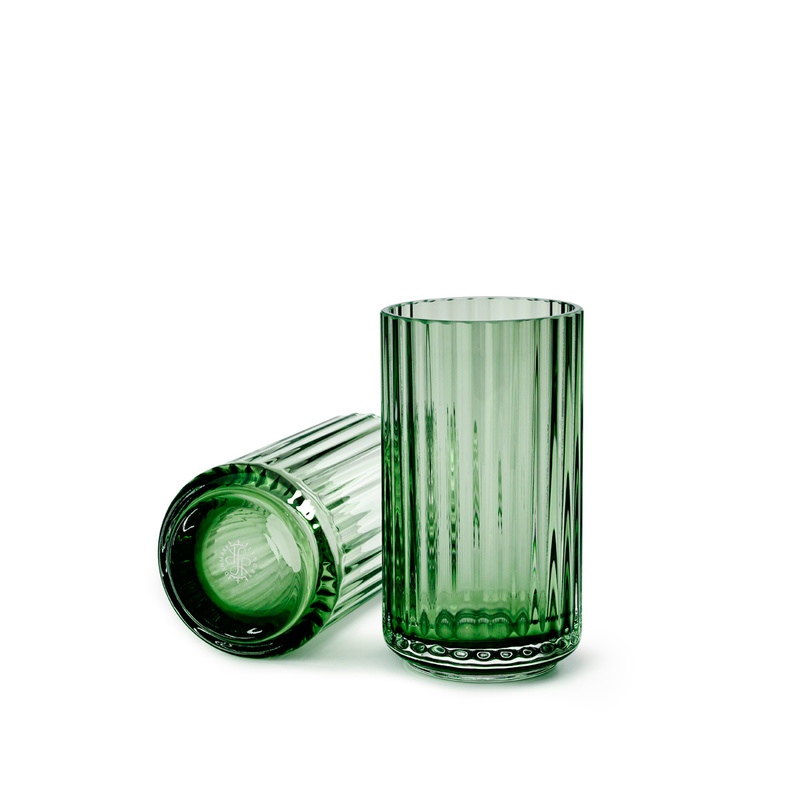 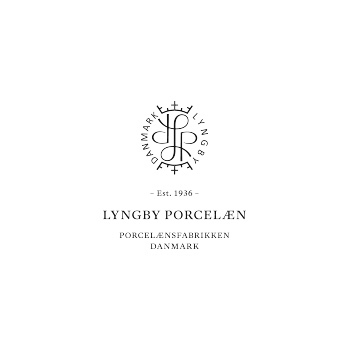 Created by the designers working for the famous Danish brand Lyngby, it is handmade in blown glass. 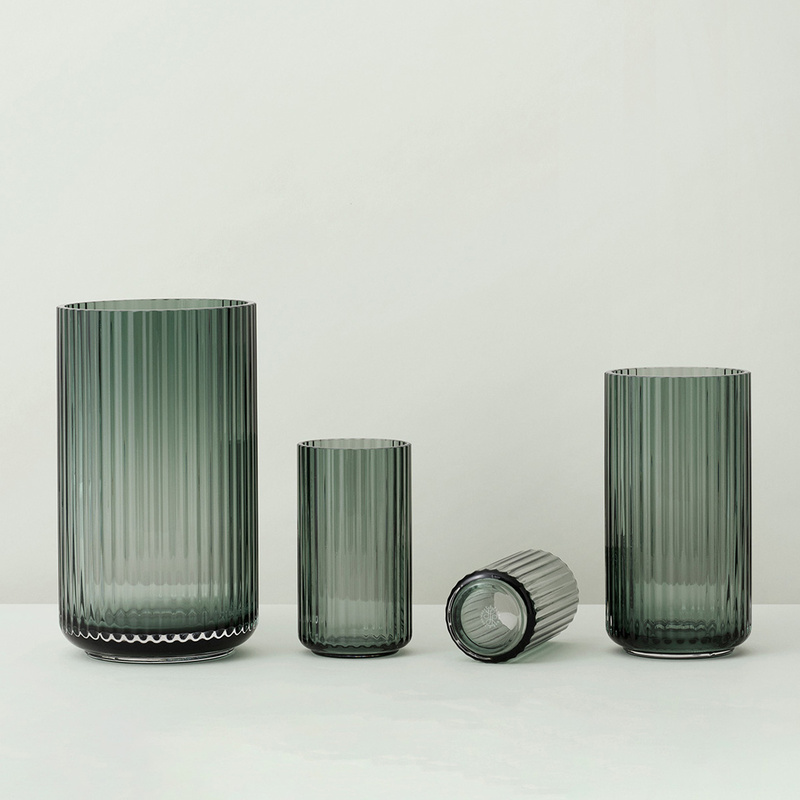 Cylindrical in shape, it is characterized by small grooves that give rise to elegant, soft ribbing that recall small waves. 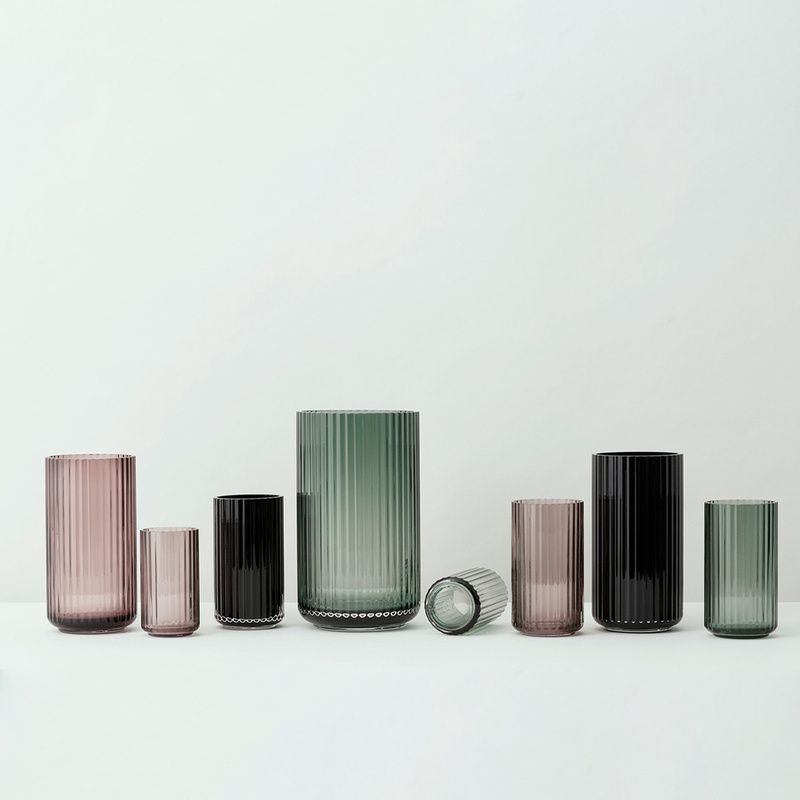 Due to its fragility, the vase can only be washed by hand, with non-abrasive sponges.